1.2. If you have any questions or would like more information about your Gift Card, please call customer service on 02 9502 6300 within Australia. 2.1. Gift Cards may be purchased at participating Carter's - OshKosh Australia Stores in Australia. 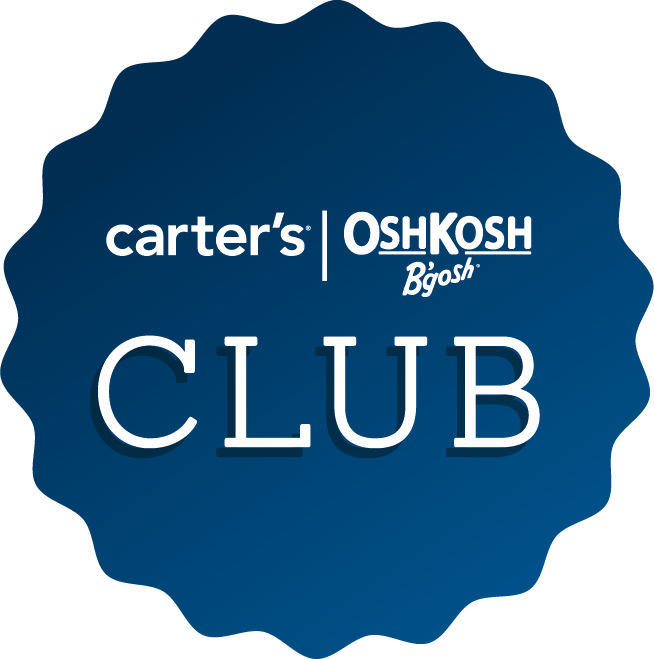 You may use your Gift Card to purchase at any Carter's - OshKosh Australia Store operated by Carter's - OshKosh Australia. 3.2. Your Gift Card is only valid for use at Carter's - OshKosh Australia Stores and the online store as detailed above; and cannot be used with any other reseller of Carter's - OshKosh Australia branded goods. Gift cards purchased can not be used at a Carter's - OshKosh Australia stores or online stores trading in a different currency than that used to purchase the Gift Card. 5.2. You can confirm the expiry date and balance of your Carter's - OshKosh Australia Gift Card and your transaction history by contacting customer support on 02 9502 6300. 6.1. 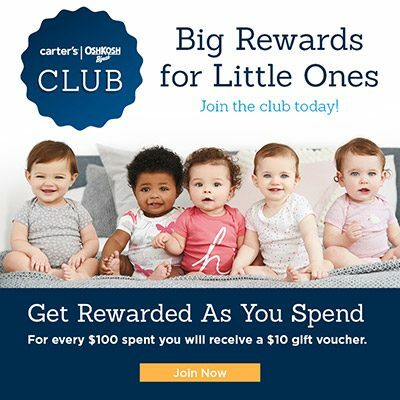 Carter's - OshKosh Australia accepts no responsibility for the loss, theft or destruction of Carter's - OshKosh Australia Gift Cards and Carter's - OshKosh Australia has no obligation to replace or refund the value of lost, stolen or damaged Gift Cards. 6.2. You are liable for all transactions on your Carter's - OshKosh Australia Gift Card, including where your Gift Card has been lost or stolen. If you have any queries or complaints regarding the purchase or use of the Gift Card, please contact Carter's - OshKosh Australia on 02 9502 6300 within Australia.